A century ago, a handful of Indian tribes in North County lost their water as settlers began drying up the San Luis Rey River. For 50 years, the tribes fought to get back their water — water that’s used today by Escondido and Vista. They spent over a decade in lower courts and in 1984 took a fruitless trip to the Supreme Court. Several years of negotiations went nowhere and a 1988 act of Congress intended to settle the matter instead caused more confusion. That led to another decade of negotiations, and then yet another act of Congress in 2016 to clear things up. Another several months passed while the paperwork was completed. Finally, on May 17, 2017, things looked finished: The federal government was ready to release to the tribes water meant to replace the river taken from them over 100 years ago. It was a short-lived victory. Two weeks ago, the San Diego County Water Authority sent the tribes a letter dragging the Indians back in front of a judge. The County Water Authority is blaming the tribes for cutting into its bottom line and wants them to pay up $2.2 million. “For all of us, it’s just completely disappointing,” said Bo Mazzetti, president of the San Luis Rey Indian Water Authority, which represents the five tribes. They are the La Jolla, Pala, Pauma, Rincon and San Pasqual Bands of Mission Indians. The federal government is ultimately to blame for the whole mess. It promised both the tribes and nearby settlers the same water. But the latest development looks like yet another attempt to disenfranchise Native Americans. For the County Water Authority, though, it’s a simple contract dispute. “This is a contract issue and the parties have a different interpretation of the contract and trying to turn it into some sort of cosmic issue is silly,” said Mark Hattam, the County Water Authority’s general counsel. In 2003, the tribes signed a trio of deals anticipating that they would eventually get back their water. In a solution logical only in the convoluted Western United States water system, the tribes would receive water from the Colorado River over 100 miles away to replace the water they lost from their backyard. In the meantime, the North County tribes have been using water they pump up from the ground. While groundwater supports farming and smaller communities, most major cities in the West are either on a river or have a way to import water from far away. When Escondido and Vista took the San Luis Rey River, they also took the tribes’ chance to develop economically. 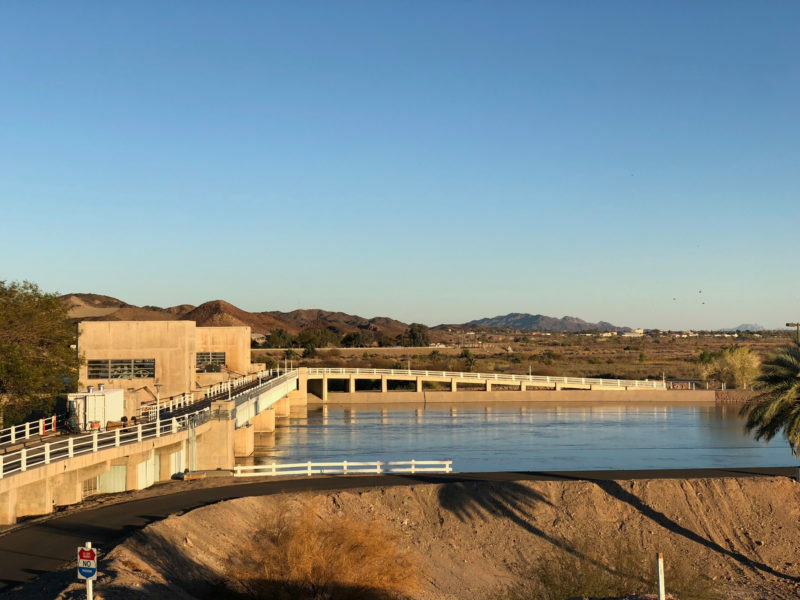 In those 2003 deals, the County Water Authority and the Metropolitan Water District of Southern California both promised to help get water to tribal land. The tribes are entitled to 16,000-acre feet of Colorado River water each year — enough water to satisfy roughly 128,000 people. Metropolitan owns a system that delivers Colorado River water to San Diego County. The County Water Authority owns another series of pipelines and aqueducts that distributes Metropolitan’s water throughout the county. The County Water Authority pays Metropolitan to deliver water and then resells it to local water agencies like the city of San Diego’s water department. Right now, the tribes don’t have a physical connection to the County Water Authority. So, for now, the tribes agreed to sell the water they finally won to Escondido and the Vista Irrigation District. They are, in essence, selling water to the offspring of the settlers who used up their water to begin with. It’s not a bad deal for the tribes. Other tribes across the West have or are hoping to make similar deals. Eventually they hope to have enough money to build systems so they too can import water from the Colorado River. The tribes are able to turn a profit because they get the water for a much lower price than they sell it for. Escondido and Vista don’t mind buying the tribal water because the cities are paying the tribes the same amount they would normally pay the County Water Authority. This is where the County Water Authority gets concerned. According to the contracts, the tribes are supposed to say by April 1 how much water they want each year. That way Metropolitan and the County Water Authority can make arrangements to deliver it. But the tribes missed last year’s deadline because they didn’t know until May 17 that they had finally won access to the water. Understandably, after decades waiting for it, they wanted the water right away. Metropolitan said no problem. But the Water Authority viewed this as an unexpected hit to its bottom line. If the tribes got the water and sold it to Escondido and Vista, that was water the County Water Authority couldn’t sell Escondido and Vista. The County Water Authority argued the tribes should repay it for lost sales in 2017. The $2.2 million it wants from the tribes is about 0.1 percent of its budget. “We stay within our budget and … this wasn’t in our budget,” Hattam said. Now, Mazzetti is worried money will be wasted by everyone on lawyers. Mazzetti said the County Water Authority has actually benefitted from numerous delays at the federal level. Had the water come to the tribes sooner, the Water Authority would have lost about $20 million in sales over the past decade, according to the tribes’ estimate. The County Water Authority has spent $7,000 to begin what’s known as arbitration proceeding against the tribes. This is a sort of private court presided over by a private judge. The tribes, Escondido and Vista all think the County Water Authority is misreading its own contract. They think the County Water Authority is obligated to deliver the tribal water, unless it doesn’t have room in its pipelines. The County Water Authority has plenty of room in its pipelines. “There clearly was no limit on their physical capacity to deliver,” said Chris McKinney, Escondido’s utilities director. While the dispute only affects water delivered last year, there’s worry about the future. If the County Water Authority could justify some other reason to mess with the tribes’ water, that could affect the tribes’ finances. “That negates the value of the agreement because what value does water have if you can’t depend on its being delivered?” said Robert Pelcyger, an attorney for the tribes who has been working on the case for nearly 50 years and, it now seems, may be back in court again soon.